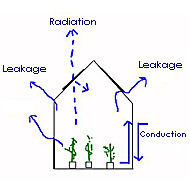 Passive heating is one of two greenhouse heating methods, the other one being the active method. The main difference between the two is on the power source. Where passive heating relies on the power of the sun, active heating depends on the power of electricity to generate heat. From this main difference can be inferred the advantages and disadvantages of each heating method. On one hand, the passive heating method is more eco-friendly and more cost-friendly in the sense that little to no electricity is required. However, it is very dependent on the strength of the sun's rays such that it is virtually useless during the winter months when the sun is at its weakest. On the other hand, the active method requires electricity to operate, which can be costly, complicated and not exactly eco-friendly in general. However, you cannot discount the fact that it can be used during the hard winter months when the sun is nowhere to be seen. Still, despite the above mentioned limitations, greenhouse gardeners use passive heating to improve plant growth especially during the summer. The trick is in harnessing as much solar power as possible, of which heat sinks can greatly help with. Simply put, a heat sink is any kind of material that allows the heat absorbed during the day to "sink in". During the night when temperatures around the heat sink are cooler, the trapped heat is slowly released, thus, providing for more warmth. Ultimately, the plants are provided with heat despite the surrounding colder temperature. Plastic barrels with lids are filled with water to the brim. One side is painted black and the other side is painted white. The white side faces the plants in the greenhouse while the black side catches the rays of the sun during the daylight. Keep in mind that black retains heat while white reflects it, thus, the arrangement. Compost and well-aged manure can be used to create hotbeds, which should also deter flies from coming into the greenhouse. Of course, there are garden tips to maximize the use of the greenhouse heat sinks! 1. First, you have to use non-reflective black and white paint on the barrels. This way, the maximum amounts of the sun's rays are absorbed into the heat sink. 2. Second, make sure that the heat sinks are facing the sides of the greenhouse where there is maximum sunshine. This often means the south-facing side although you have to observe your area to determine said site. 3. Third, the heat sinks must be located inside the greenhouse and slightly away from the sides. This is because the glass panes of the greenhouse can quickly absorb the heat being emitted by the heat sinks during the night, thus, negating their value for the plants. 4. Fourth, you can wrap the north side (or whichever side is receiving the least amount of sunshine) with bubble wrap. This way, more heat is retained inside the greenhouse. And it helps to ensure that the greenhouse is tightly sealed during the night, too. With this information on passive heating, you should set to work and make Mother Nature proud! Whitney is the owner a company that sells Composting Accessories, such as the Norpro Composter, a useful green product to have around the house. Blossom end rot occurs because the soil in your home vegetable garden is deficient in calcium. It also occurs when the weather in your area has been considerably wet followed by an immediate dry period. Blossom end rot most notably affects peppers, squash, tomatoes and watermelon. 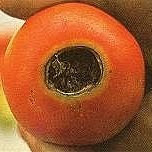 As you can see in the picture, it looks like a dark circle and spreads to the end fruit as the vegetable will then look like it is rotting. If not taken care of it could spread to the remaining of the unaffected portion of your garden and also lead to additional or secondary rotting. Here are steps you can take to control blossom end rot in your home vegetable garden. Prior to planting any vegetables, always obtain a pH level reading on your soil conditions. You can obtain good testing kits at your local garden center that will give you the amount of calcium you have in your soil. After you obtain your test readings form your soil test kit as per step one, you will be able to tell if your soil is low in calcium. If you need to add calcium to your soil you have a variety of choice to do so, but the best, fastest acting as well as comparably affordable is more than likely limestone. The test kit you purchased in step one should also give you the pH reading. If the pH reading is not highly acidic then add a little gypsum to bring the pH level to a more stable reading. Finally, make sure you add some mulch over top over your topsoil so that the ground maintains an even moisture level and avoid excessive fertilizing so you do not throw out of balance all of the work you did in the previous steps. Just continue to monitor your soil conditions throughout the growing season and make adjustments as necessary. A greenhouse gives you a haven in which you can grow different plants regardless of the time of year it is. Greenhouses are avidly used all around the world, and provide many gardeners with a carefree gardening experience. In many respects, since plants are kept safe under the protection of the greenhouse, many of the qualms that people complain about when it comes to environmental conditions are completely eliminated. This is one of the many reasons why so many people seek a greenhouse for their homes. But are you getting everything that you should be getting out the greenhouse that you have nestled in your backyard? Believe it or not, there are many different products that are presently available that ensure you are getting all that you can get out of your greenhouse structures. A product that has been able to make growing plants in greenhouses so incredibly easy and care free are electronic, or automatic water sprayers. There are sprayers that you can set to water your plants a certain number of times and at a specific time throughout the day. We have all seen these automatic sprayers in different locations. One location where these sprayers are extremely common is in grocery stores. You will normally find these sprayers in the produce section because they are used to spray the plants that are on the shelves in order to allow them to maintain their vibrancy. The light factor has always been a problem with greenhouses as well. During the summertime the light from the sun, as well as the radiation that bounces off of the sun, can become too much for plants that reside inside your greenhouse. As a means to solve this dilemma, many people are actually opting to obtain roller shades for the windows of their greenhouses. These shades will ensure that enough life is coming into the structure but not too much to kill off the plants that are trying to grow within it. Another great way to get everything that you can possibly get out of your greenhouse structure is to make room for more plants to be harvested within its barriers. You can begin by installing additional shelves in the building by basically grabbing a few planks of wooding and drilling them into the wall of the structure. The possibilities of what you can do to enhance your greenhouse experience are virtually endless. Herbs are renowned worldwide for an extensive range of uses. Even during the biblical period, herbs were regarded as wonder plant by many. This is for the reason that the purpose of herbs is not only confined to being an ingredient in cooking or in aroma therapy but also, they are known to cure common human ailments and diseases. With this, many people find it a good idea to exert time and hard work to keep up a garden of herbs potted right in their backyard. A home herb garden can give you a handy supply of herbs anytime you need it for your next family banquet or for a quick relief to particular body pains and aches as well as for more severe ailments and diseases that a member of your family might be suffering from. 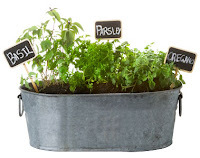 If you want to build an herb potted garden at home, you can opt what herb to plant from the group of herbs that are known to be helpful in cooking and medicine. Basil, parsley, oregano and thyme are safe to start with. They are also some of the usual herb potted that easily grow without requiring so much time and effort. Basing on your tang and desires, the assortment of herbs that you wish to plan in an herb potted garden may differ. Maintaining an herb potted garden within your home is truly a sensible thing to consider. The problem only arises if you do not have a backyard or lawn to transform into an herb garden. This is particularly true if you live in an apartment and classy condominium units. There is a simple solution for this kind of problem, herb potted! Potting herbs actually does not necessitate too much time and expert gardening knowledge. The important thing is that you obtain a bit of planning particularly in knowing which kind of herbs can survive with other herbs using a single container. With only adequate water and light going in, the herbs will certainly grow easily. When making herb potted, the very first thing that you must do is to purchase the right pots. Proper consideration should be made with regards to correct sizes of your pots since you must ensure that it fits the space allotted for them in the house. Also, you need to see that they have accurate drainage holes that can allow the water to flow. The next thing is to determine the type of herb seeds you want to plant. The tiny ones are suitable for beginners since they tend to endure the environment indoors. When combining several herbs in just a single pot, you need to ensure that they are the same as regards water and nutrient absorption and species. With this, you are guaranteed that one kind of herb potted will not outgrow the others. The actual seeds planting is the next thing you have to consider. In doing this, you should make sure to choose the right kind to help in the proper growth of the herbs. Also, the herbs must never be over soaked with water so, be careful each time you water them. Tim is an experienced herb gardener and loves to grow herbs. To learn more about herb potted as well as other great herb gardening, planting, growing and using techniques check out his dedicated herb growing and care website http://www.herbgardeningplace.com/. Eating fresh vegetables that just came out of the garden are actually better for you than those purchased in a grocery store. This is true because many vegetables lose some of their vitamins and minerals after they are picked and have been stored for a few days. However, if your getting the vegetables right out of the garden then they should contain a larger amount of vitamins and minerals compared to their grocery store counterparts. Also vegetables that are only a few hours old are much better tasting because they still contain all of their flavor compared to those that have sat for days and weeks. Growing your own vegetable garden can a fun challenge, because when you first start your garden you have no idea if it will be a success or not. Since there are so many factors involved that we have no control over. Such as the weather, it may not rain enough for your garden to thrive on it's own so you may have to come up with a way to water it. Then again, it may rain a lot and get too much water, thus destroying your plants and vegetables. These are only a couple of the many challenges involved. However if you do have a successful garden then can be very proud because you have helped the garden to overcome many hardships. Having a vegetable garden can also save you money on your food bills. As everything in the world increases in price, the cost of food does also. By having a vegetable garden you can trim your grocery bill by a significant amount each year. And if you store the vegetables by canning them you can eat from your gardens labors all year long because they will remain eatable for many months to come. Since you grew the vegetables in your garden you know that they are safe to eat. In other words they don't contain any additives or preservatives. Many similar items at the grocery stores may have additives or preservatives that can be unhealthy for people to eat. So, by having fresh vegetables grown in your own garden you know exactly what your eating and don't have to fear. The author writes about many subjects, visit his website about miller plasma cutters and find the best miller plasma cutter online. They come in a wide variety of shapes, colors and sizes in your home vegetable garden and, no, I am not talking about the many varieties of tomatoes or peppers you just planted. I am talking about one of the most destructive species of insects that affects just about everything and anything you grow in your vegetable garden. The insect species are called aphids. They reproduce asexually and thrive in warmer climates, which can create a tremendous aphid population in your home vegetable garden. If they are not caught early enough you mind as well kiss your vegetable garden goodbye. They do their damage by feeding off of soft leaves and stems of plants which stunt growth and lead to plant deformities. When the population of aphids each a number large enough, many will form wings and fly off to neighboring plants and the process starts over on the new plant. Here are some methods you can use to control the aphid population. Your first step in any program is to come the realization that, yes, you have a problem. So say to yourself, hi, my name is, , I have a problem with aphids in my garden. Obviously I say this jokingly, but on a serious note, the first step you should take in controlling aphids is to use yellow sticky traps. They are available from any home or garden center and I have found that the ones that cost a dollar or two works just as well as the ones that cost five or six dollars. Get to know what neem oil is. 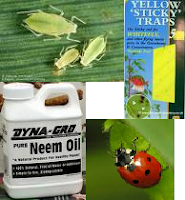 Neem oil is safe and affective way to control aphids (and other harmful insects) without damaging the plants or harming the environment or your family. You can pick up Neem oil at any garden center for under ten dollars and it is worth its weight in gold. Follow the application instructions on the brand of neem oil that you purchased as each brand has its own way to be used. You can also create an environment in your garden that attracts lacewings and ladybugs, two beneficial insects that love to feed on aphids. Cilantro makes for a great plant that attracts ladybugs as does dill and fennel. Once you have the ladybugs in your garden you would want to keep them. A search on Google for `ladybug houses’ will give you plenty of results to purchase (or build your own) a habitat where they can lay their eggs. The more ladybugs you have, the better off you will be. Do not become a victim to aphid destruction in your home vegetable garden. There are steps you can take to prevent and control them without using harmful pesticides. Mike is the owner of Mike the Gardener Enterprises, LLC where you can sign up for their Seeds of the Month Club and receive 4 packs of vegetable, fruit and herb seeds every month. Seaweed has been used in its raw state for many years by gardeners to improve and nourish exhausted soils. Unfortunately most of its use was concentrated around coastal areas because of its bulk, however since the introduction of the refined liquid seaweed fertilizer, gardeners the world over have had a chance to experience the wide amount of benefits that liquid seaweed fertilizer can offer. So what are the 7 top benefits of concentrated extract of seaweed? 1. Used as a rooting solution for cuttings, it will promote strong and vigorous development of roots giving the cuttings a superior chance of surviving. 2. Used as a general organic soil treatment, the solution encourages stronger, healthier plants that have a greater resistance to diseases. 3. Seeds that are soaked in the solution will have an improved percentage of germination and the roots and seedlings will enjoy enhanced vitality. 4. When applied as a foliar spray to flowers a day or two before cutting, liquid seaweed extract will give the cut flowers a longer life. 5. The solution provides natural hormones and nutrients in an immediate and easily absorbed form when applied as a foliar feed. 6. During drought and periods of stress, general use will encourage betaines that assist osmosis in plants and help them increase the uptake of nutrients and proteins that will give the plants a boost to overcome the distress. 7. Liquid seaweed concentrate contains starches called alginates that act like sponges. These alginates hold and supply water droplets near to a plants roots giving a more even supply of moisture to the plants. There are many more benefits that liquid seaweed fertilizer brings to the garden. Generally the plants, flowers, grass and crops become vigorous and healthier. More fruit will develop, grass will be lush and green, flowers become more numerous and are more vivid and crops will be in greater abundance. If you are interested in finding out more about this organic extract, please check out this site - liquid seaweed fertilizer and discover the gardeners best kept secret. There are three basic elements of a soil mixture for indoor plants, each available in different forms, and each needed in varying proportions by different types of plants. The following is a basic recipe that should be varied depending on a plants requirements. For example, for plants that like soil "rich in humus," you would double the quantity of humus. For a "sandy soil mixture," double the amount of sand. 1 part humus - to condition the soil, make it lighter and more porous, help hold moisture. Humus may be prepared and packaged, or scraped up from the forest floor. Peat moss, partially decayed leaf mold or compost, and manures - always well-rotted - are humus materials. Add less humus if soil is highly acid or already humus-rich. 1 part sand or substitute - to improve drainage, aerate soil, separate minute particles so roots have air to breathe. Use coarse builder's sand, not fine-grained or salty seashore types. Or substitute bird gravel, chicken grits, commercial brands of pelletized volcanic rock, coarse or fine vermiculite. Add extra sand to heavy clay soils. Sift all ingredients through a screen with a mesh at least as small as a half inch, to remove stones and other undesirable foreign matter. Add fertilizers like bone meal or superphosphate according to each plant's needs. To illustrate the "grain of salt" with which this recipe should be taken - most cacti and other succulents are potted like potting indoor plants in a mixture of three parts coarse sand or finest gravel with one part soil. Some growers add humus, some don't. Many add lime to neutralize acid. But the epiphyllums, orchid cacti, need a good proportion of humus. Try to know your plants' needs, and suit the soil mixture to them. When plants are growing well, resist the temptation to experiment with some other soil mix, no matter who recommends it. It may be just the thing for your neighbor's plants, completely wrong for yours. When you do change soils, do it temperately and tentatively - try it on one or two pots before you take chances with more. There is no magic formula to growing great tasting vegetables in your home vegetable garden. Just like anything else in life it takes time, patience and of course effort. Combine all three of these and you are sure to yield so great results. However, just like a lot of other things in life there are secrets, tips and tricks in home vegetable gardening that will make your life easier, especially for those that are limited on time and or space. Here are some insider secrets that you can implement today in your home vegetable garden. This is the process of planting one vegetable in between or near another vegetable. Companion planting has a number of benefits. The most obvious is the use of space. This technique allows you to utilize the space in between bigger vegetables. Another benefit is to attract certain variety of helpful insects that will actually attack harmful ones. For example, white flies can be devastating to a tomato crop, but the trichogramma wasp will actually eat white flies. By planting something near tomato plants that attracts the trichogramma wasp you can virtually eliminate the white fly naturally without the use of chemical pesticides. There a number of great resources, such as the USDA and our own website, that give you companion planting suggestions. This is the process of alternating the location of where you plant a vegetable from season to season. In other words if you plant tomatoes in row one this year, you might want to consider moving them to row three next season. Crop rotation serves a couple of important purposes. Each vegetable uses a certain amount of nutrients, some more than others. For example, tomatoes use a lot of nitrogen. By the end of the growing season the area where the tomatoes were planted will have smaller amounts of nitrogen. The following season you will want to plant a vegetable (herb or fruit) in that spot that will not require as much nitrogen and move the tomatoes to a spot where the soil is high in nitrogen. You get the point. Looking for better drainage in your soil and the ability to have your soil warm up faster in the spring? Then raised beds are the way to grow, er um, go. There are a number of methods for raised beds. They range from simply building up the height of your rows, to actually boxes and filling them with dirt. Whichever method you go with is fine, just make sure you do not use any type of pressure treated lumber if you decide to go the box route. Many home vegetable gardeners simply plant their seeds and go. This is fine, but don’t you want more vegetables for all of that hard work you put into it? Me too. That is why I combine, companion planting, with crop rotation and raised beds. Give it a try with your home vegetable garden. You will wonder why you didn’t try these methods sooner. You asked for it and we have responded. Now you will receive your first month 100% when you register for the Vegetable Seeds of the Month Club. This is a great opportunity to give your club membership a try before you decide to buy. Visit the Seeds of the Month Club webpage at: http://www.AveragePersonGardening.com/seed_subscription.html and join today! There are a tremendous amount of benefits to creating and using compost for your home vegetable garden. Compost adds much needed nutrients and minerals to your soil to enhance the environment in which your plants will grow, it allows for better water drainage, and increases the volume of your soil. Here are some things you should consider when starting your own compost pile. Location is a key factor that you should consider before you even put the first items into your compost pile. I am not talking about where in your yard the compost pile will be, but more specifically whether or not your local town or city will even allow it. If you live in a rural part of the world, then chances are you will be allowed. However, if you live in a city, with lots of people, then you need to check the laws in your local area to make sure they are ok with it. Now that you know you can actually have a compost pile at your house, what should you put in it? A good compost pile is made up of many ingredients of organic material. You want a good mix to ensure that all of the nutrients your plants and soil will need are included. Grass clippings, leaves (from various tree species), twigs, pine needles and so forth make up for great organic material. You can use your food leftovers, but because of the possibility of rodent intrusion, I bury my food scraps about eighteen inches beneath the top soil in my garden. My compost pile is solely for the material previously mentioned. In short; as much as you can make and have the space for. In fact, the more the merrier I always say. Your plants can use a constant supply of compost throughout the growing season. This will lead to better tasting vegetables, healthier plants and better soil. A typical compost pile can break down in about three months, so I can keep three piles going so I can harvest fresh compost on a monthly basis all year round. If you can maintain a practice such as this, you will reap many benefits as well. Some purists believe you should leave the compost pile alone, while others say to check the temperature of the middle of the pile and when it reaches over 155 degrees Fahrenheit, use a pitchfork and turn the pile over. I have successfully created compost using both methods, although the `turning the pile` over method will create usable compost faster. The choice is yours. Sun, water, soil and compost, the four basic items your plants will need to grow and thrive in your home vegetable garden. If you can master the art of creating good compost, your plants will reward you with tasty bountiful harvests for years to come. It does not matter whether you have been vegetable gardening for twenty plus years or twenty plus minutes, you will invariably make some mistakes along the way that will lead to a less than hoped for production in your harvest. Here are the most common mistakes that I have seed many people make. Sure I like to eat oranges, bananas and kiwi just as much as the next person, but lets face it, I have no chance of growing any of them here in New Jersey. Just like someone who lives in an area of the world where the temperatures are always hot, they will more than likely lack the ability to grow cool weather crops such as spinach or lettuce. Plant the seeds to the vegetables that are indigenous to your area. You will have a greater chance of success. As crazy as it sounds, yes you can over water your plants. When you over water your vegetable plants you can cause root rot, an environment susceptible for fungus growth, and also wash away valuable nutrients your plants need like nitrogen. Most plants require moderate watering and what that means is the ground is moist but not wet. You can simply pick up the first couple of inches of your dirt and if it is crumbly or sandy then it is too dry and if water comes out when you squeeze it, then it is too wet. If you do not want to go that “unscientific route”, then spend a couple of dollars at your home or garden center and pick up a soil moisture sensor. You will get a much better reading, and they come with instructions to help make sure your plants are getting ample amounts of water. One of the easiest and best things a home vegetable gardener can do to ensure optimal growth of their plants is to add a fresh supply of compost on a constant basis. Compost is nothing more than taking organic material such as grass clippings, leaves and your left over dinner, and allowing nature to take its course and break it down into what is called compost. There are a variety of methods for composting that go beyond the scope of this article, but you need to add compost to your soil throughout the year. Compost adds the many nutrients your plants will need to grow thrive and survive in a safe, affective and environmentally friendly way. This is one I have been guilty of myself and that is not harvesting my vegetables when they should be. Of which, for me, are my zucchini plants. On Tuesday they could be ten inches long (I like to pick them when they are about twelve), and two days later when I go back they are near twenty inches. With zucchini if you let them get too big they will develop way too many seeds and that takes away from a lot of the “edible” portion. The same holds true for many other vegetables. The longer you wait to harvest the more flavor the fruit or vegetable will lose and even worse it literally rot right on the vine. Home vegetable gardening is meant to be a fun and rewarding hobby but like all other activities it has its share of opportunities to make mistakes. Now that you know the common ones, you can fix these and move on to making some new ones, well, hopefully not. The vegetable gardening community is 48 million people strong and still growing. Some do it as a hobby, others to grow the food they will eat all year round. Regardless of which is your reason, here are three questions I constantly get. If you have been wondering the same, here are the answers and the advice to carry out a good action plan. I live in an apartment. Is it possible to grow great vegetables in pots or containers with such little space? In short the answer is yes but with everything there is a longer answer to every question. Because you live in an apartment (or those that are in a condominium complex), you may also be limited to sunlight due to how your building is situated. Sun is extremely important to growing great vegetables. Without it they can not complete the process of photosynthesis and all of those great scientific happenings that go on unseen to the naked eye (I did not want to get too technical in this article). If you live on the side of the building that gets the sunlight late in the day, then there is a chance you may not be getting enough. One excellent solution that came from a member of ours on our Vegetable Gardening Facebook page is to take your plants to work with you (if possible of course). If you drive to work you can leave your plants on top of your car (this was the member`s suggestion), or bring them in the office and place them by the window. Just remember to rotate your plants if you have more than you can bring in a single day. I answer your question with another question. What do you like to eat? Start there and then find out which vegetables are indigenous to your area of the world. For instance here in New Jersey we can not grow citrus fruits due to our lack of necessary temperatures, where as in the heat of the plains of Texas, spinach is almost impossible. I love gardening, but hate it when I have to pull weeds. Do you have a solution that does not cost a lot of money? What would any type of outdoor gardening be without weeds? More pleasant I am sure. However, weeds are one of those things that no one can avoid. You can simply pick the unwanted scoundrels as they pop up or you can make life easier on yourself and use the following method. Before you put any plants in the ground put down two layers of newspaper over your entire garden. As you lay the paper down make sure you wet the paper so it doesn’t blow all over the place. I would not recommend doing this on a windy day. Once the paper is down, cover it with one to two inches of compost (preferably) or a mulch of your choice. Then go back and plant your vegetables. This method works best when you are transferring plants that were started indoors. You can use this method when starting plants directly from seeds, however not all seeds can push their way through two inches of compost or mulch. Now that you have your questions answered, follow the information provided and get started on a great home vegetable garden. Fennel looks like a white bulb at the base with green stalks protruding from the top. Used a lot in Italian cuisines, fennel is crunchy with a bit of a sweet taste and can be found in other cultural recipes as well. Part of the Umbellifereae family it is in close relation to parsley, carrots, dill and coriander; however you should never follow these plants in a rotation or plant them near one another. Here are the steps to add fennel to your home vegetable garden. Start by sowing your seeds indoors about 4 weeks prior to the final frost of the season. The seeds should germinate in about 14 days. For faster germination, consider using a portable greenhouse or humidity dome that is available at your local home or garden center for just a few bucks. Once they are ready to be moved outdoors space them out no closer than twelve inches apart in the area of your garden that receives a lot of sunlight in soil that is in the pH range of 6.0 to 7.0. If you are not sure what your soil's pH range is you can pick up a soil testing kit for a couple of dollars at your local home or garden center. Don’t forget to give your fennel a moderate watering, just enough to keep the ground moist, but not saturated. They will be ready to harvest when the white bulb of the fennel plant is about 4 inches across and firm to the touch. Once harvested, the plant should be used within 48 hours to take advantage of the fresh flavors that fennel has to offer. Avoid rotating fennel carrots, parsnips, and other members of the carrot family. Fennel does get along well with sage and mint so it will make a good companion plant for them, but that is about it. Try not to plant fennel anywhere near other plants as it does not get along well with them. As you can see fennel is not all too difficult to add to your home vegetable garden. Just follow these steps and you will be well on your way to adding some great fennel to your cuisine straight from your home vegetable garden. Mike is the author of the book Vegetable Gardening for the Average Person: A Guide to Vegetable Gardening for the Rest of Us, available where gardening books are sold. You can follow Mike on Twitter at : http://twitter.com/mikethegardener or on his website at: AveragePersonGardening.com.